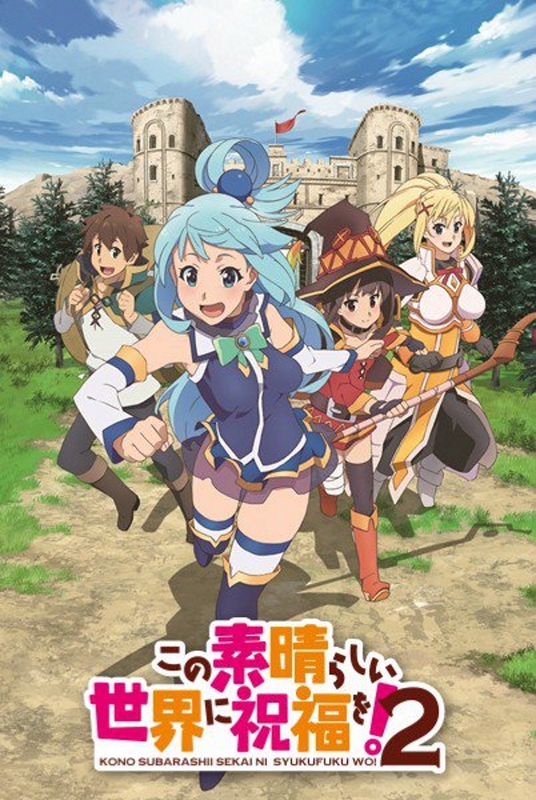 KonoSuba: God’s Blessing on This Wonderful World! 2 is the follow-up second season for KonoSuba, read my review for that here. This season started airing in January 2017, concluding in mid-March. This season picks up directly after the end of the end of the first season. Kazuma has been imprisoning for accidentally teleporting a bomb to the local lord’s manor. Now he and his party are in the biggest debt they have ever been in having all their homely possessions taken away as insurance. Kazuma will have to lead his party into the deadliest of situations to do anything they can to make a quick buck. All the while having to deal with the general lack of competence of his other party members. No matter how hard they try nothing ever seems to go as planned. My Review: Its kinda hard to review this season as something separate from the first, mainly because it starts literally right after the end of the first, but also because there so similarly connected. I have mixed feelings about this season, i though it was pretty funny with some fresh new jokes, however in the grand scheme of things it really just felt like nothing much happened, only covering a few events. In particular I really felt like the final part was much too long and that those episodes would have been much better spent on something else. If you’ve seen the first season and liked it then this is a must watch, but watch it alongside the first season. However, despite my negative comments I would absolutely love to see this series continued as I did enjoy my time with it, but perhaps increasing the number of episodes.